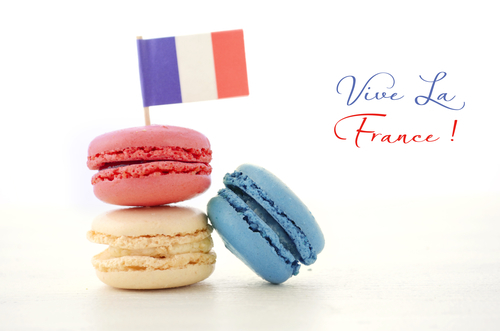 Whether you hail right from Paris or you just enjoy a hot croissant fresh from the oven, there’s no reason not to celebrate Bastille Day when it comes around on July 14 – the French version of the Fourth of July! If you want to celebrate Bastille Day just like the French do, then check out these delicious French eateries near your Third and Valley apartment for an authentic experience that doesn’t require a plane ride. Restaurant Lorena’s, located at 168 Maplewood Ave, Maplewood which is a five-minute drive from your Third and Valley apartment, is an upscale restaurant delivering French haute cuisine in an intimate, bistro-like setting. Since June 2005, Chef Campos of Restaurant Lorena’s has been offering his interpretation of haute cuisine deeply rooted in French technique and inspired by the seasons. Check it out on Bastille Day to learn what all of the fuss is about! Verjus, located at 1790 Springfield Ave, Maplewood which is a six-minute drive from your Third and Valley apartment, is a French fine-dining destination with a popular brunch menu and a subdued, sophisticated atmosphere. Owned by Chef Charles Tutino and his wife, Jane Witkin, Verjus serves contemporary French/New American cuisine in a stylish, understated dining room decorated with works by local artists. The menu changes daily and seasonally, taking advantage of local markets and direct sourcing whenever possible. They also have a full bar and a list of excellent wines, primarily French and American, at great prices.